Krause KM# T5 Struck in UK in 1930. 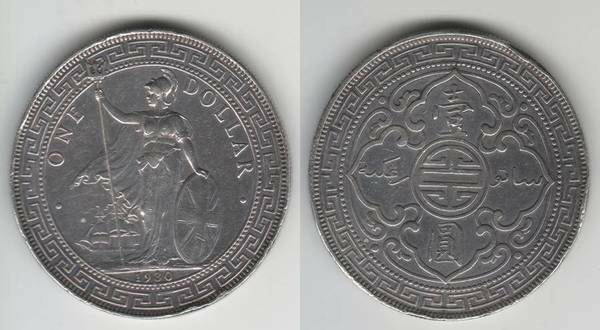 Obverse: Britannia standing. Legend One Dollar. Date below. Apart from a few knocks on the rim, the coin is in XF condition.